Did you know that a five-minute video can take even two days to make? Let me show you how I make a new episode from scratch. Update: Here's the second part. You can also watch the finished episode for free. I always wanted to record a behind-the-scenes video to show you what it takes to create a single 64bites episode. But I never got around to set up camera, lighting and rehearse the whole thing. In time, I began to realize that it's never going to happen. By coincidence, my friend has started using Snapchat, and he is pushing fellow programmers to join him as well. Suddenly, it occurred to me, that it might be the perfect medium for the behind the scenes video. Wait… Programmers using Snapchat? That's crazy! I know, right? The first thing I wanted to do after opening up the app for the first time was to uninstall it. Isn't that how my grandpa felt sending a text for the first time? I'm getting old! So I decided to go all in and record the whole process of creating a new video from scratch. It was not easy at first, mainly because I used a five-year old phone to record videos. 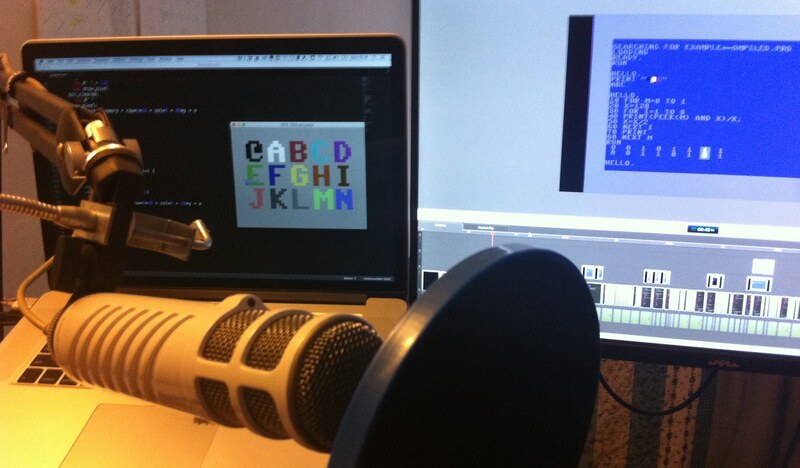 But it got easier, and by the end of the day, recording a 10-second video felt natural. Below is the video of the first day of work. But I highly recommend to install Snapchat and add me (mehowte) to see the second part live.